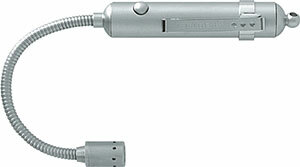 horse-and-a-quarter trimmer from Bosch. See Accessories/Edge Guide. 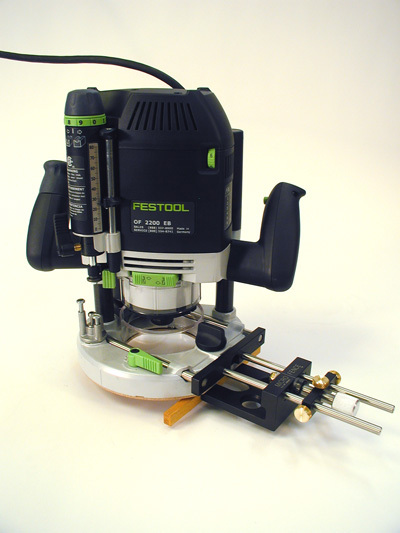 We now fit the largest Festool 2200 router with its own sub-base for our Ellipse and Interface Packages. The eight inch diameter has always been just a little large for our existing Universal Router Plate. 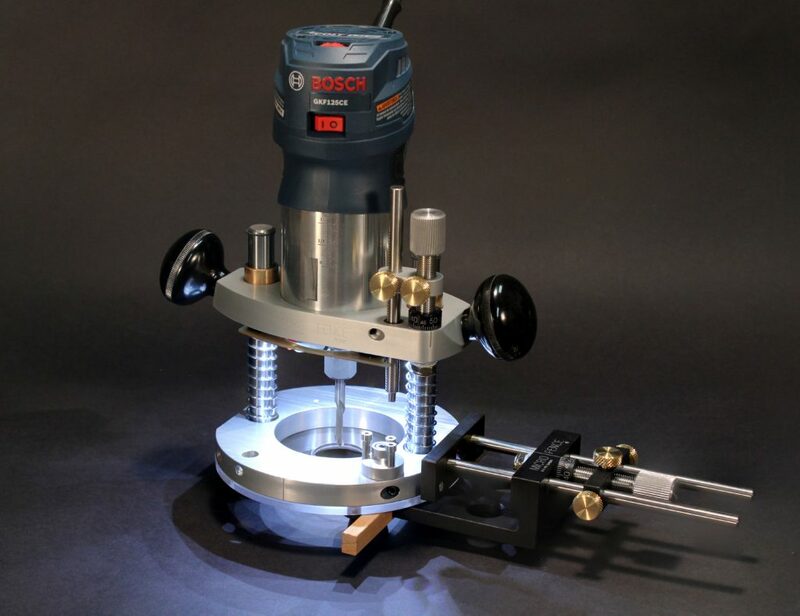 We now fit the Bosch GKF12V which offers the capability to mount the Edge Guide or Circle Jig from either side. 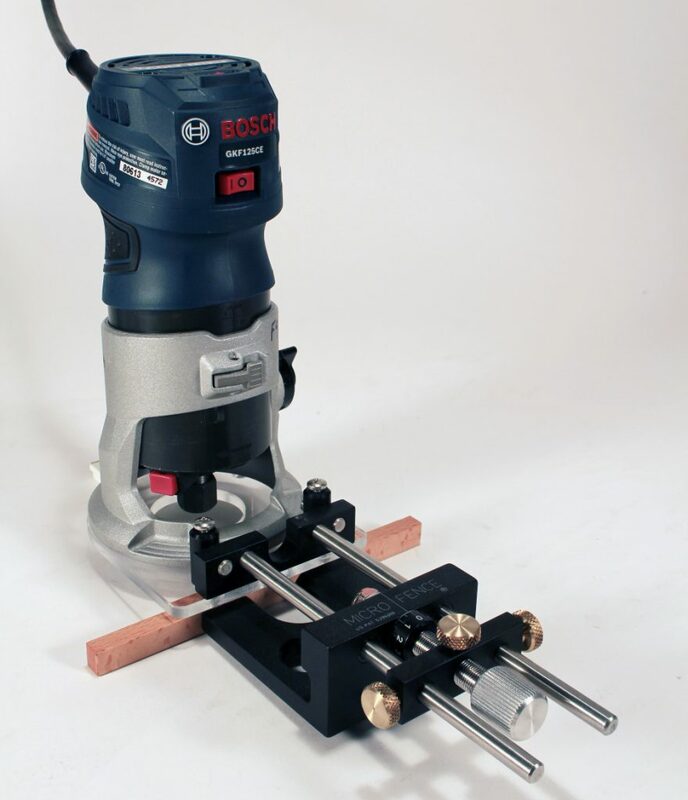 One of the latest offerings from Bosch is their GKF12V Cordless trimmer (2.6 lbs), which brings completely untethered routing capability for lighter duty tasks like laminate trimming, hinge mortising, fluting, grooving and inlay work. 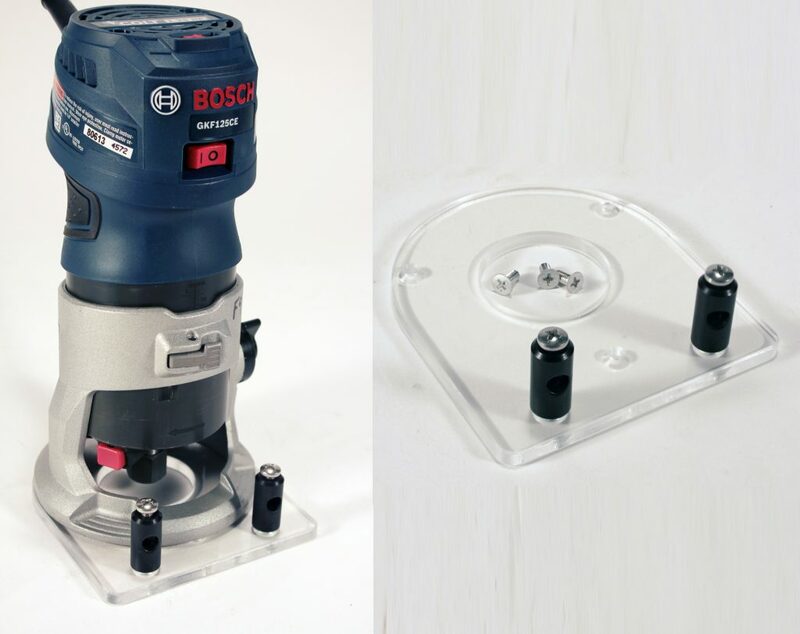 The factory model has no holes to mount a guide, so we’ve designed an acrylic Sub-Base that will allow our Edge Guide or Circle Jig to be connected and provides mounting options from either side of the motor. I’ve used it for inlay work and enjoyed it’s ergonomic design. We finally found a source for down-spiral Micro Bits that meet our standards and we’ve put together a kit of these 1/8″ shank beauties that includes 1/32″, 3/64″, 1/16″, 3/32″ and 1/8″ diameters. 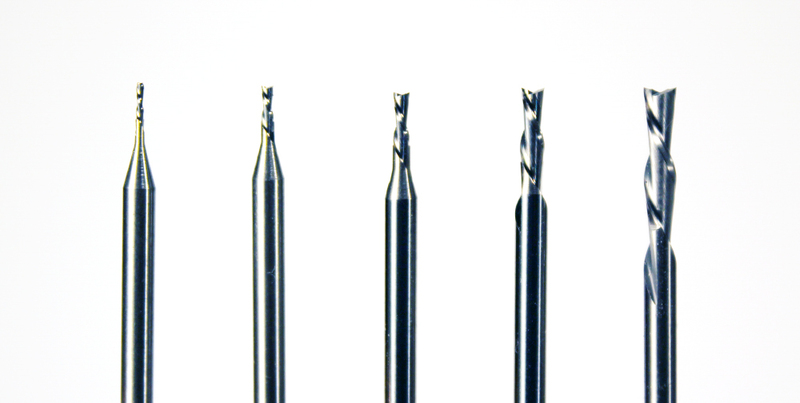 All are extremely high quality micro-grain solid carbide that cut cleanly whether you’re working with or across grain. The bits are also available individually and other sizes may be custom ordered. Back by popular demand, our Christmas holiday Free Drawing will be picked on November 30th when one lucky subscriber will win this Micro Plunge Base fitted with one of our Light Ring Kits (your choice of AC or Battery Pack power supply), a $380 value. Sign up for our Quarterly Newsletter and your email will automatically be entered in the drawing. 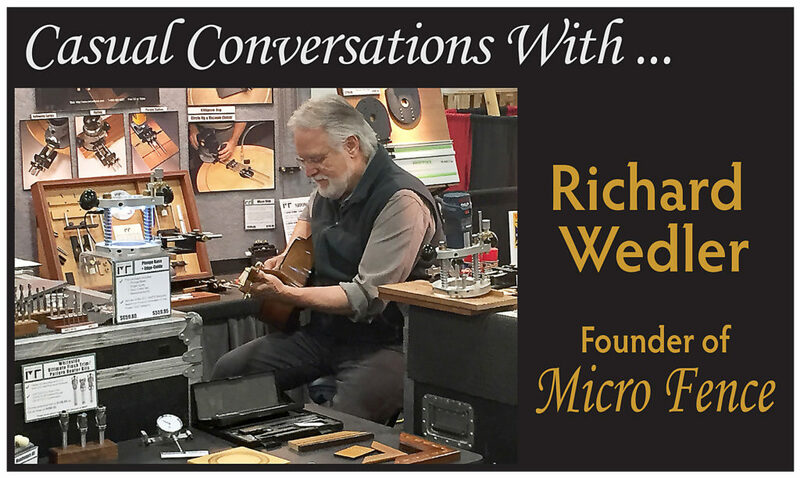 We invite you to visit Rich’s new website for Fine Furniture & Cabinetry, where the Micro Fence System was born and developed. Its a scrapbook from Rich’s 50 year furniture making career. Congratulations to David Rock of Greensboro, North Carolina, the winner of our April 1st Drawing. He won our original Plunge Base fitted with our Light Ring along with our Maintenance Kit, a $510 value. 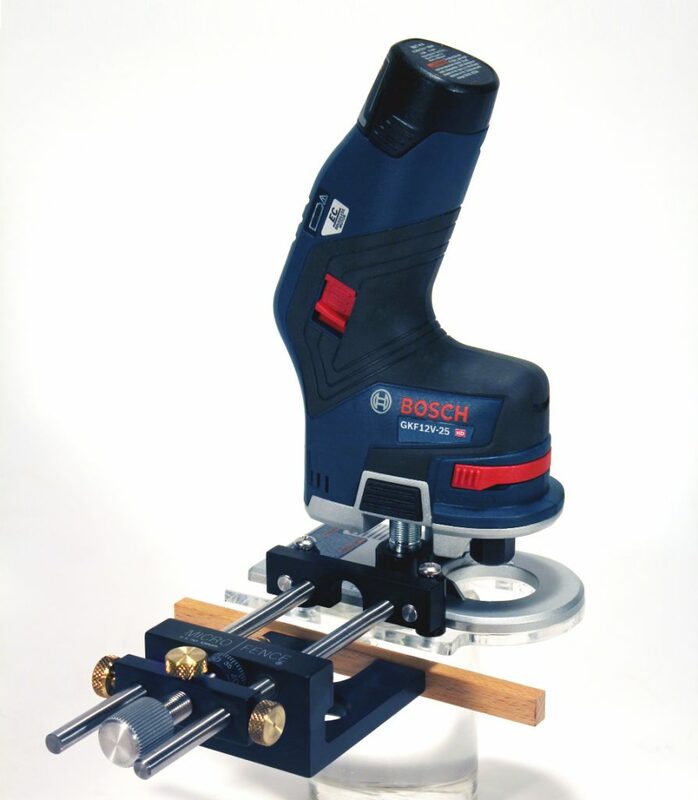 We can now accommodate the new Bosch GKF125CE 1 1/4HP compact router in our original Plunge Base. 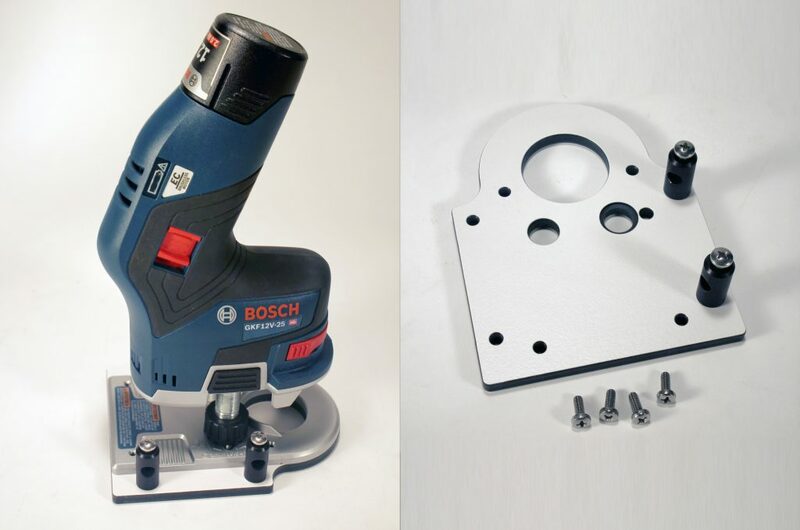 The re-designed offering from Bosch is the next evolution of their tried and true PR20. We think the added power and a few other improvements make it a popular choice. Our new drawing, scheduled for April 1st, will be for our original Plunge Base fitted with our Light Ring along with our Maintenance Kit, a $510 value. (See picture above). Winners are chosen using an on-line random-number selection service from our newsletter subscriber list (maintained by Mail Chimp). Be sure to update your email or account information to ensure you’re included in the selection process. Congratulations to the winner of our Thanksgiving drawing, Mr. Lon Frankel of Houston Texas, a customer since 2008. The prize was one of our Micro Plunge Bases fitted with our Light Ring Kit (a $380 value). 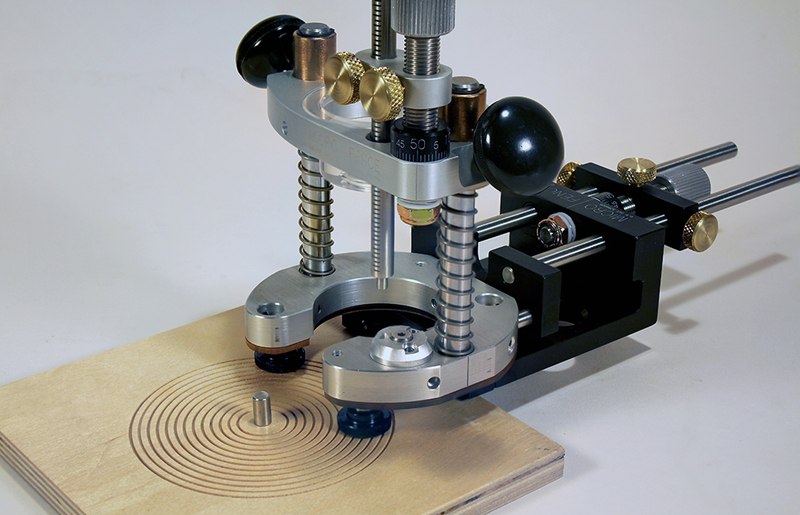 We are happy to welcome Peter Sefton’s Wood Workers Workshop as our new UK distributor. Below is his information. 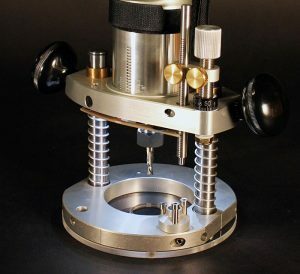 Our Thanksgiving holiday Free Drawing will be picked on November 26th when one lucky subscriber will win this Micro Plunge Base fitted with one of our Light Ring Kits (your choice of AC or Battery Pack power supply), a $380 value. Sign up for our Quarterly Newsletter and your email will automatically be entered in the drawing. Woodworking Network recently wrote an article about our new website. Check it out here. P.S. Check out the other articles they’ve written about us while you’re there under “Related Articles”. This 18V, 4amp little monster offers variable speed from 10-30,000 RPM and eliminates the power cord from your routing. 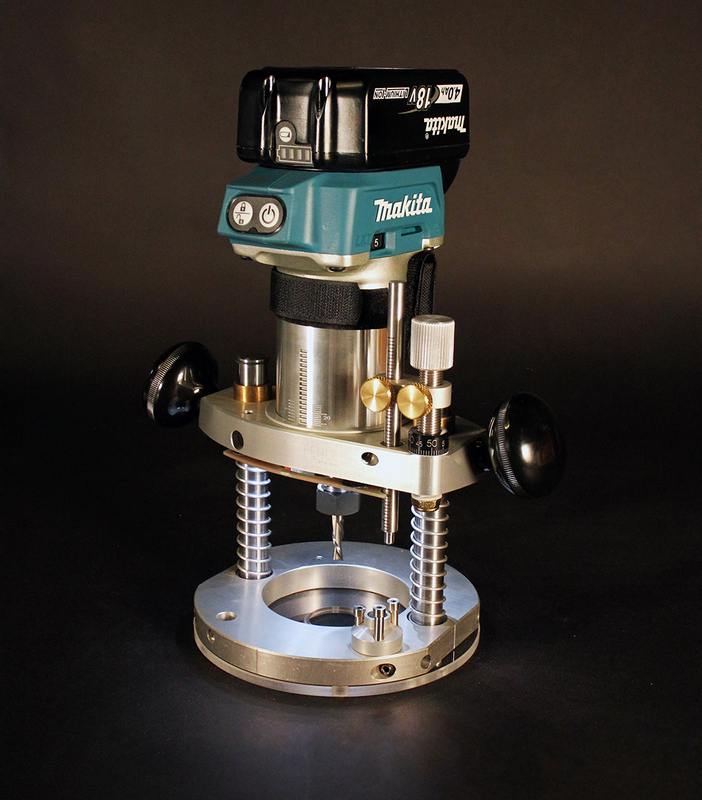 It’s motor can fit in our Plunge Base with the same adapter ring we use for the Makita RT0701C, or our Edge Guide and/or Circle Jig can be mounted directly on the Makita factory base. Add our battery-operated light ring and you’ll enjoy a brilliant and completely untethered routing freedom! We have now developed a battery option that allows the Light Ring to operate with a 9V battery, making the use of cordless motors a truly “untethered” set-up. 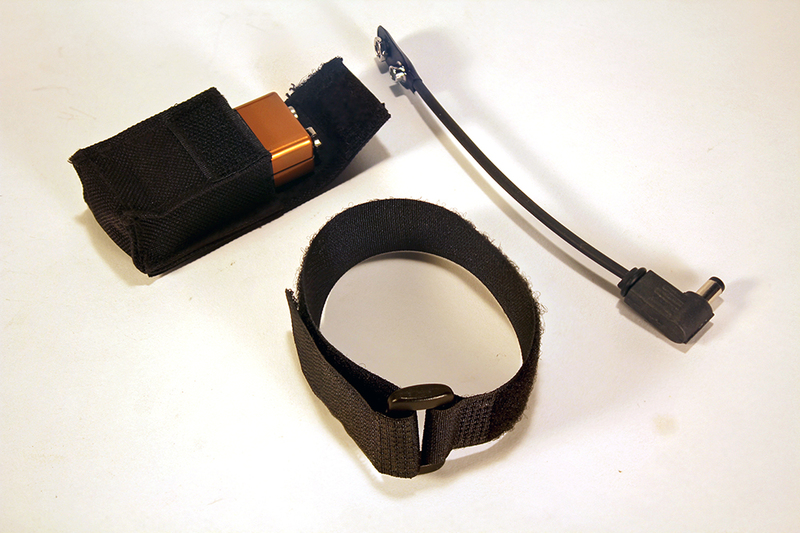 This accessory includes a fabric pouch with a velcro back that fits a 9V battery, the battery itself, a 12″ velcro strap that wraps around a trimmer or high-speed rotary tool motor to attach the battery pouch to, and a 5″ patch cord with right-angle connector that plugs into the Light Ring’s power jack…everything you’ll need to provide a “cordless” power source for either of our Light Rings. At long last, our light rings are available for both of our Plunge Bases! We’ve been working on these ever since the miniature LED lights we used to offer were discontinued. The solution to our problem is a printed circuit board light ring that features six LED lights that bathe the work area with the most brilliant light in the industry. Suggested and co-developed with our customer and friend Frank Garcia, these little gems will provide virtually shadow-free illumination like you’ve never seen on a woodworking tool before…and without the need for batteries! Click on the photo below for more details. 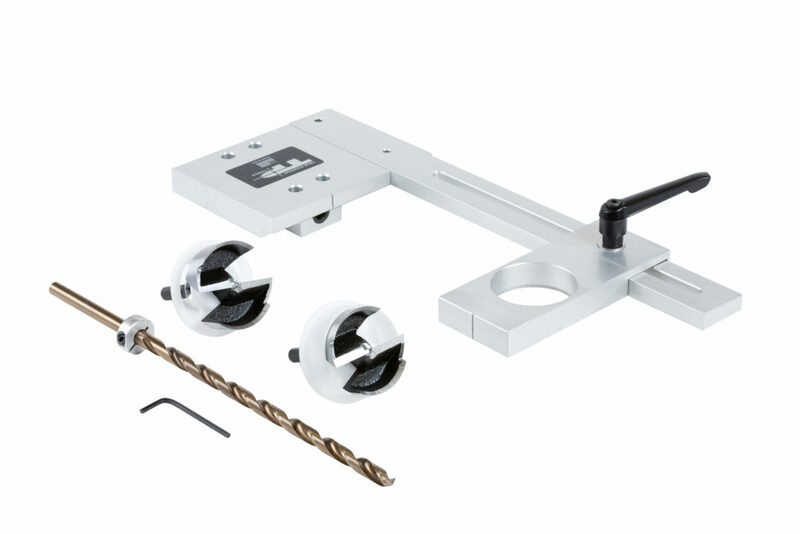 We recently we started carrying a new item from True Position, the Cabinet Light Installation Jig. Check it out by clicking on the picture below. 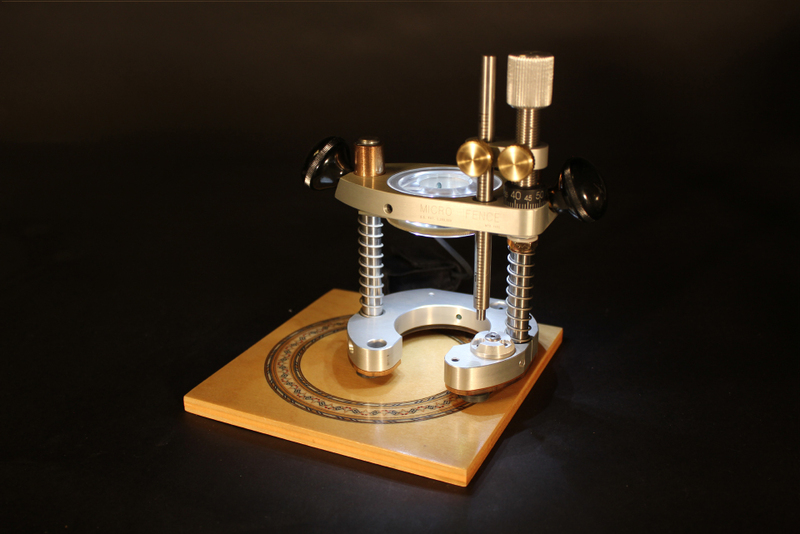 We recently did an interview over on 360woodworking.com with our friends Chuck and Glen. Check it out by clicking on the picture below. The LED lights that we supply with our plunge bases have been discountined by their manufacturer and we shipped out the last of our inventories today. We are working on a solution for this problem and apologize for any inconvenience this may cause. 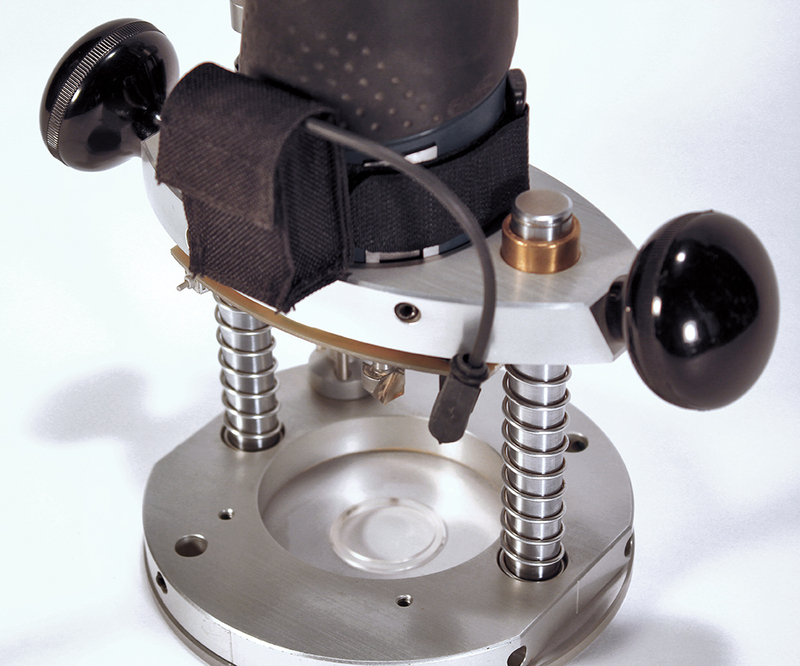 We are in search of a new LED light source that will be battery-powered and are also working on a second solution that will offer a twelve volt light source as well. We will be announcing the arrival of either or both solutions in the very near future. 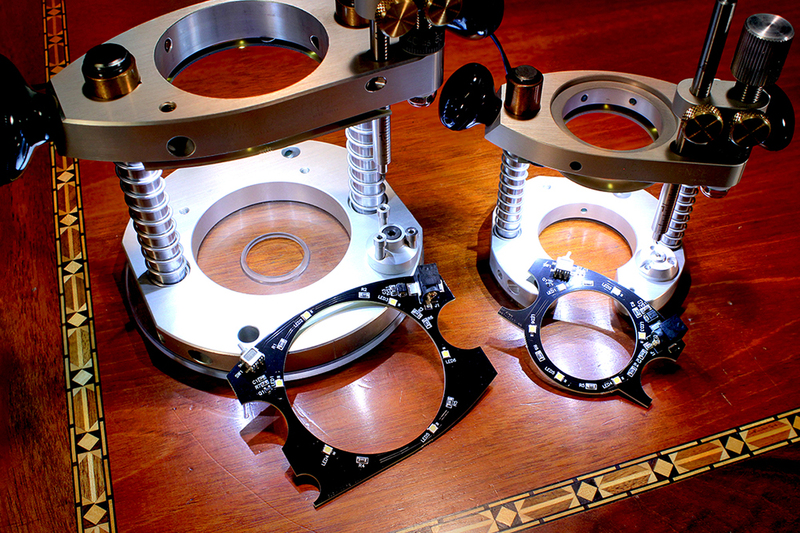 As of April 27 however, our Plunge Bases will not include the LED light sources that they’ve previously included. The LED batteries (AG5) will still be sold through our website. 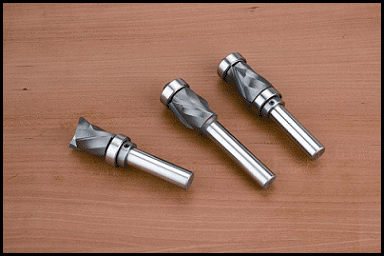 We recently started to carry a new router bit from Whiteside, The “Ultimate” Flush Trim/Pattern router bits. Check them out by clicking on the picture below. Recently a customer of ours posted on a forum for Festool owners complaining that we didn’t carry a mounting bar for his router. 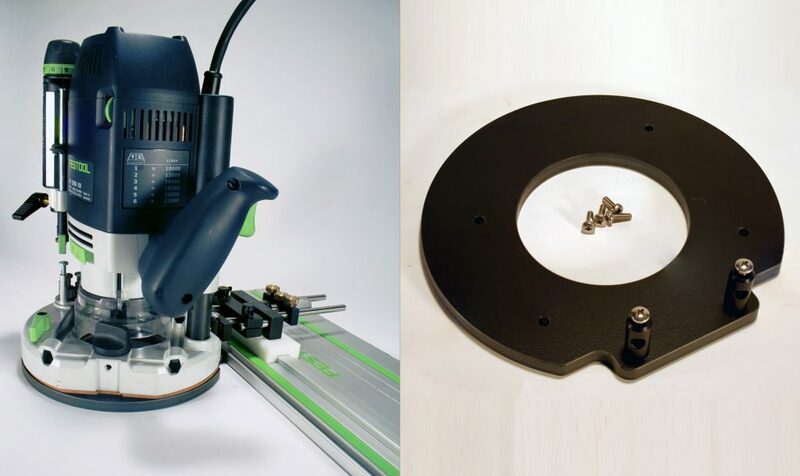 We noted his aggravation and have restocked the item, so the mounting bar for the Festool OF 2200 is once again available. 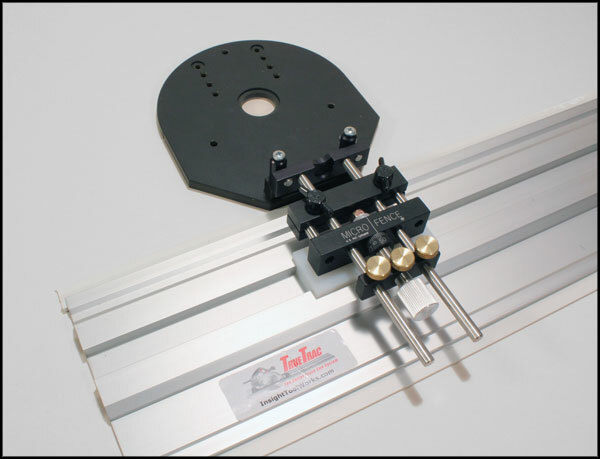 Select it when buying a mounting bar, circle jig, or edge guide. 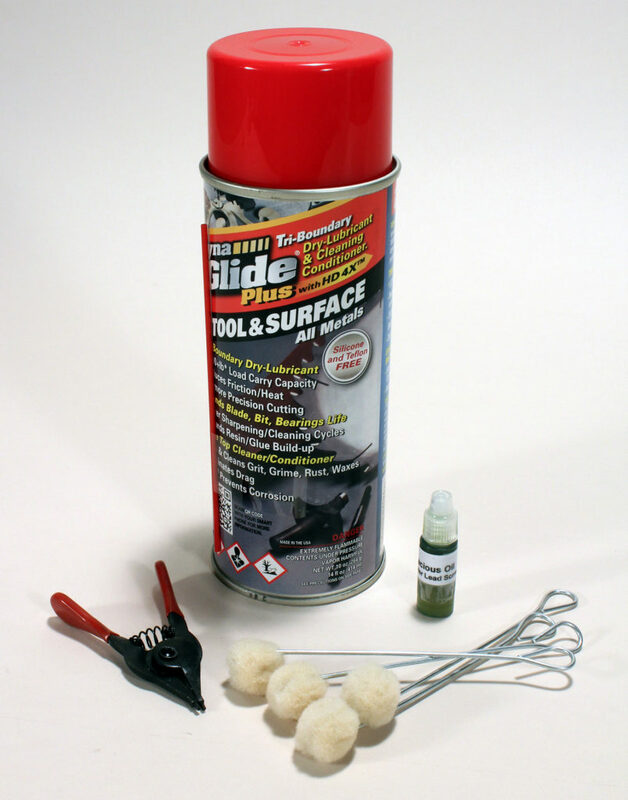 Keep your tools operating at peak performance with our new Maintenance Kit. Click on the picture below for more information. 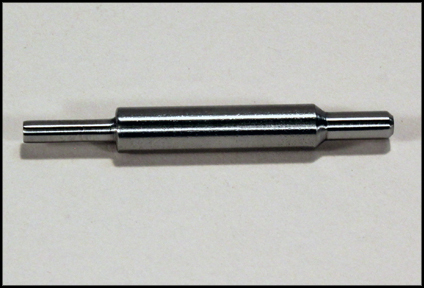 Micro Fence has just released a new product for the Micro Plunge Base, The Template Guide Bushing 1/8″ Centering Pin. Click on the picture below for more information. Chris Marshall, from Woodworker’s Journal, stopped by our booth at this year’s IWF show to see what was new at Micro Fence. We are introducing a new router interface for the True Trac system. Tru Trac offers an extremely rigid extrusions that can be joined together to accommodate larger dimension work. Click on the picture for more details. We are introducing our new Inboard Levelers, exclusive to our Micro Plunge Base.